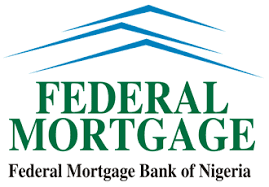 The African Centre for Media and Information Literacy (AFRICMIL) has belittled the management of the Federal Mortgage Bank of Nigeria (FMBN) over refusal to reinstate whistleblowers, reports ITRealms. FMBN, ITRealms gathered had refused to comply with the directive of Mr. Babatunde Fashola, Minister of Power, Works and Housing, ordering the immediate reinstatement of two officers who were unjustly punished for blowing the whistle on corruption at the bank. ITRealms also gathered that Mr. Murtala Ibrahim, Head of Special Investigation/ICT in the Audit Department was sacked on May 8, 2017, while his boss, Mr. Taslim Anibaba, Head of Internal Audit department, was placed on indefinite suspension on August 25, 2017. Reacting to the situation, the Coordinator of AFRICMIL, Chido Onumah, told ITRealms these gentlemen committed no crime other than refusing to be coerced to cover up a doctored 2016 half-year financial report and other mind-boggling acts of corruption in the bank, including the N2.2billion contract for the renovation of Mamman Kontagora building. “The bank used the manipulated 2016 financial report to fraudulently earn the commendation of Mr. Fashola, the supervising minister of the institution who was misled into believing that the bank recorded profits in the stated period when in fact it recorded a loss,” he said. Accordingly, Fashola had ordered an investigation of the case and issued an order of immediate reinstatement of Messers Murtala Ibrahim and Taslim Anibaba but the management of FMBN has brazenly flouted the minister’s directives, refusing to reinstate the sacked and suspended staff while offering no explanation. “It is unfortunate that the bank has refused to obey the minister’s directive. We view this as an act of gross insubordination and grave insult to the person and office of the Honourable Minister of Power, Works and Housing,” Onumah noted. He said the bank’s attitude constitutes serious threat not only to the successful implementation of the whistleblower policy, but also endangers the anti-corruption campaign of the current administration. Onumah reiterated the need to ensure the safety and protection of whistleblowers, adding that if people do not get protection they are not likely to report wrongdoings. This, he said, would render the whistleblower policy ineffective.